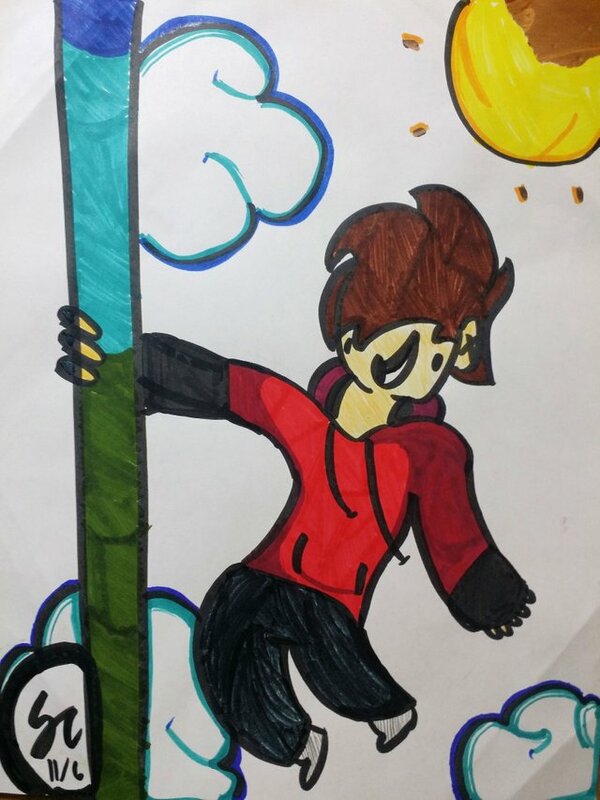 Instead of curator's critique, here is my son's own perspective of his painting: This drawing I made is about someone who is carelessly climbing up a giant pole.I was actually bored when I made this, as I didn't use paper. I didn't expect it to be a final drawing, but it looked pretty nice so I colored it and this is the final result. I'm kind of proud of it :). Your UA account score is currently 0.914 which ranks you at #56167 across all Steem accounts. Your rank has improved 91 places in the last three days (old rank 56258). In our last Algorithmic Curation Round, consisting of 274 contributions, your post is ranked at #269.